Background music play is coming, but it’ll be a while yet. 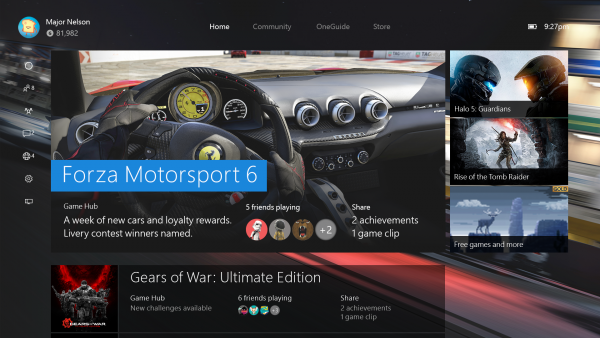 Xbox One’s operating system is not missing many features, but some of the ones it is have been long requested by fans. Among these is background music playback, something that was available on Xbox 360 and was well implemented. Every once in a while, fans raise the question to Xbox boss Phil Spencer. Back in October, Spencer said they’re busy working on other features. Now, after the release of the New Xbox One Experience, they seem to have diverted their attention to other requests, and music playback is one of them, it seems. Spencer was asked again recently on Twitter if there are any news he’d like to share on the subject. “Won’t be before summer sorry to say,” he replied. This shouldn’t be a low-priority thing either, the Xbox Feedback site currently has over 22,000 votes for it and it would certainly make plenty of fans happy. As of this moment, music playback while you’re playing a game is possible through the Groove app, but only when it’s snapped.